We hope that everyone will take this rare opportunity to receive a private healing with Wen Wei Ou, master energy healer, author, calligrapher and healing music composer. 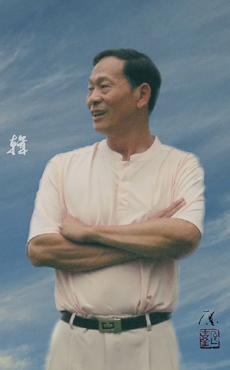 Master Ou is the originator of Pangu Shengong, a system of energy healing self-practice and therapy also known as Heaven, Earth, Sun and Moon Qigong. The fundamental philosophy of his healing style is rooted in kindness and benevolence and derived from his knowledge of ancient Chinese cosmology and medicine. Master Ou is also a medical intuitive. Treatments from Master Ou and the practice of his mystical qigong self-healing practice forms can help regulate and intensify a person’s life force, resulting in the fortification of one’s: physical body, vitality, immunity, emotional harmony and spiritual connectedness. This great healer has helped thousands of patients with many different ailments by curing or ameliorating the symptoms of heart disease, diabetes, strokes, arthritis, asthma, different types of cancer, anxiety, depression, drug dependence and more. And, you do not need to be ill to benefit tremendously from a treatment. Because qigong is a healing system that transcends religion and culture, Master Ou’s students and patients span various religious traditions, nationalities, ages and occupations. He is the President of PGSG Research Institute, the Vice Chairman of International Health, Fitness, and Longevity Institute, Council Member of International Medical Qigong Association, and the former Director of Qigong Science Research Institute of Guangzhou University of China. Born and educated in China, Master Ou now resides with his wife and daughter in the countryside outside of San Francisco.